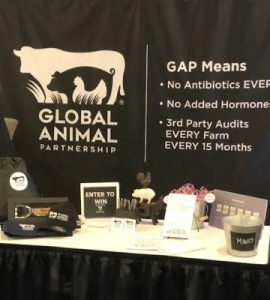 Earlier this month, GAP’s Business Team attended The Meat Conference in Dallas, TX hosted by FMI/NAMI. This annual event focuses entirely on the business of meat and poultry for the retail channel. The conference is a comprehensive education and networking experience, attracting retailers looking to increase their bottom line. A trade show within the conference highlights products, services and trends—the ideal platform to preview GAP’s rebrand, scheduled for full release in April. Spiking consumer demand for meaningful label claims, particularly around animal raising practices, has launched GAP into the mainstream marketplace, making it the perfect time to set up shop at The Meat Conference. GAP partners were out in full force too — occupying 10% of the show floor with many more in attendance. The collective presence of GAP opened the door to new opportunities. Adding value across the supply chain is key to our growth and success. From working with producers to maximize utilization to developing a communications strategy with a retail partner, we are a hands on team focused on partner success. 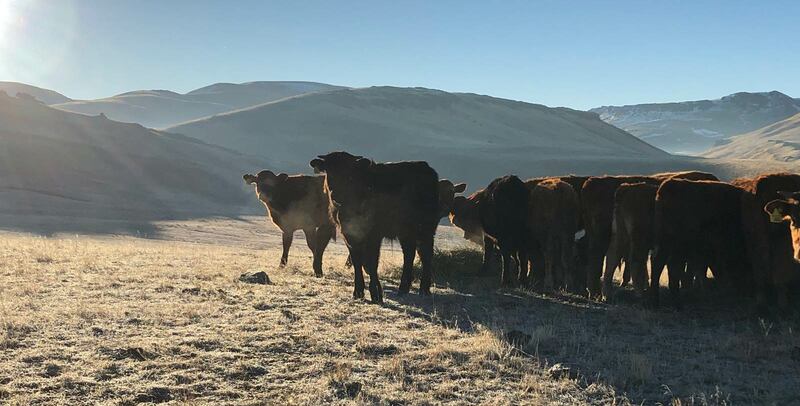 GAP supply meets a variety of needs spanning multiple species and systems, with more than 1200 certified products that offer a risk management edge–3rd party audits at every farm we certify, every 15 months. Simply stated, if we don’t see it…we don’t certify it. Featuring a new label design with flexibility for an expanding market, the large-scale brand refresh also includes a new website, partner portal and added tools and resources for GAP certified partners. GAPgear.org, also launching in April, will add wearables and housewares to the mix. Proceeds from the brand extension will fuel GAP programs and outreach. Certified products with the new label will begin hitting store shelves in May. The unique attributes of the 5-Step program are embedded in a clean and compact design with simplified language to maximize brand recognition for a growing consumer audience.